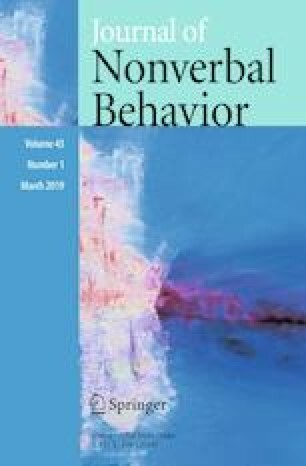 The present study evaluated whether the strength of relationship between child nonverbal behaviors (expressivity, attention, and coordination) across time points varied as a function of interviewer nonverbal behaviors (expressivity, attention, and coordination) under supportive versus neutral interviewing conditions. Children (n = 123) participated in an event where they were involved in breaking some rules. Three to four days later they were interviewed by either a supportive or neutral adult interviewer. Interviews were video recorded and nonverbal behaviors of both children and interviewers were coded. Multi-level modeling revealed that optimal interviewer nonverbal behaviors were predictive of optimal child nonverbal behaviors at the end of the interview. In contrast, explicitly manipulated interviewer supportiveness was related to suboptimal displays of child nonverbal behavior. Interestingly, as the interview progressed, optimally attentive interviewing was associated with suboptimal child expressivity scores. Likewise, displays of optimal interviewer coordination were associated with suboptimal child coordination scores over time. The implications of the findings for nonverbal behavior literature and professionals talking with children about sensitive information are discussed. This research was conducted for the Doctoral dissertation of VAJ. The authors are grateful to the children and schools who participated, as well as to Evangeline Wai and Elizabeth Beyer for assistance with coding. The research was unfunded.